IF intelligence (or talent, effort, etc.) is distributed following a Gaussian distribution among the population, AND the distribution of wealth—which is often considered a proxy of success— follows typically a power law (Pareto), THEN there must be some hidden ingredient at work behind the scenes. That ingredient is randomness. The largely dominant meritocratic paradigm of highly competitive Western cultures is rooted on the belief that success is due mainly, if not exclusively, to personal qualities such as talent, intelligence, skills, smartness, efforts, wilfulness, hard work or risk taking. 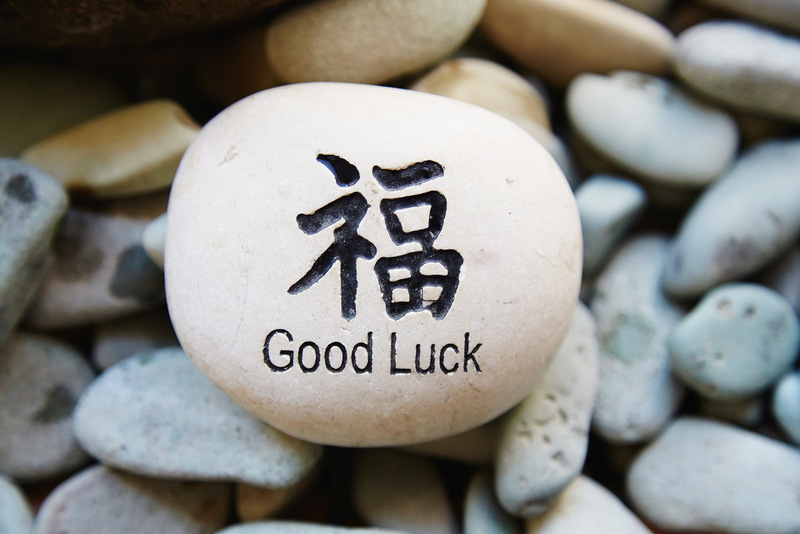 Sometimes, we are willing to admit that a certain degree of luck could also play a role in achieving significant material success. But, as a matter of fact, it is rather common to underestimate the importance of external forces in individual successful stories. It is very well-known that intelligence (or, more in general, talent and personal qualities) exhibits a Gaussian distribution among the population, whereas the distribution of wealth – often considered a proxy of success – follows typically a power law (Pareto law), with a large majority of poor people and a very small number of billionaires. Such a discrepancy between a Normal distribution of inputs, with a typical scale (the average talent or intelligence), and the scale invariant distribution of outputs, suggests that some hidden ingredient is at work behind the scenes. In this paper, with the help of a very simple agent-based toy model, we suggest that such an ingredient is just randomness. In particular, we show that, if it is true that some degree of talent is necessary to be successful in life, almost never the most talented people reach the highest peaks of success, being overtaken by mediocre but sensibly luckier individuals. As to our knowledge, this counterintuitive result – although implicitly suggested between the lines in a vast literature – is quantified here for the first time. It sheds new light on the effectiveness of assessing merit on the basis of the reached level of success and underlines the risks of distributing excessive honors or resources to people who, at the end of the day, could have been simply luckier than others. With the help of this model, several policy hypotheses are also addressed and compared to show the most efficient strategies for public funding of research in order to improve meritocracy, diversity and innovation. Yes, I know everybody suspect it. Now it’s (a bit) more well-founded. (1) Biondo, A. Pluchino A. E., and A. Rapisarda. 2018. ‘Talent vs Luck: The Role of Randomness in Success and Failure’. ArXiv:1802.07068 [Physics], February. http://arxiv.org/abs/1802.07068. Yes, I know everybody suspect it. Dammit, you beat me to the punch. Come on!, that does not prove anything, except that so called intelligence (as simulated in the simple -simplistic- Netlogo model) do not explain a (simple) success model. But, of course, intelligence (whatever it is) cannot explain success (whatever it is). Perhaps because we do not know what are we talking about.